BGT is an ERC20-Compliant on the Ethereum blockchain. 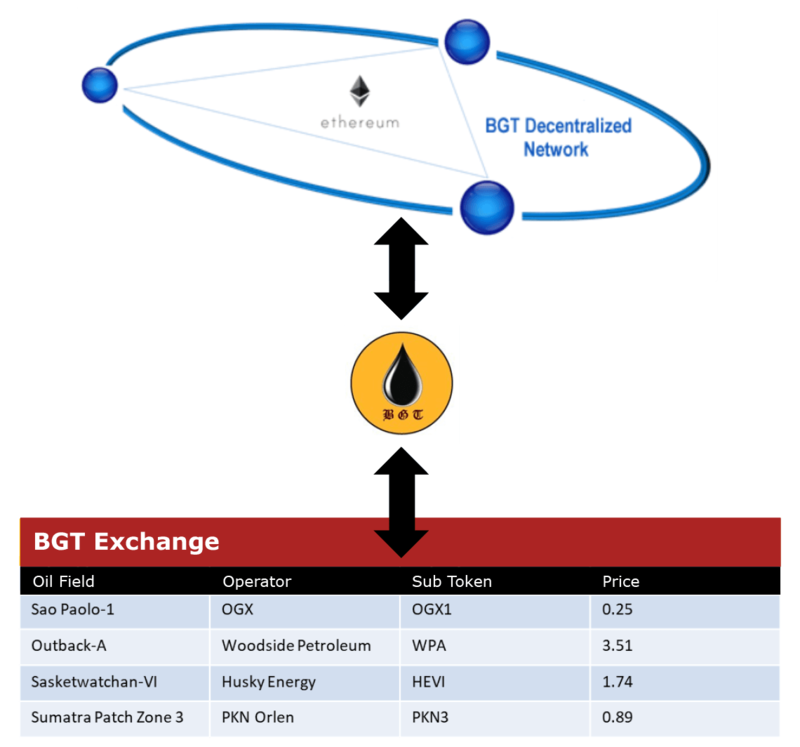 The token will be used to purchase credits that could be in turn used to purchase fractional shares of upstream producers who have tokenized their oil reserves. Each producer will issue individual tokens for their reserves. BGT token can be converted to Subtokens e.g. OGX1, WPA etc as shown in diagram. Investors can buy and sell tokens to other investors while BGT will make the market on these subtokens. Subtoken values will fluctuate based on factors such as : Demand/supply , Actual production from reserves vs projections, Global oil price, and more.